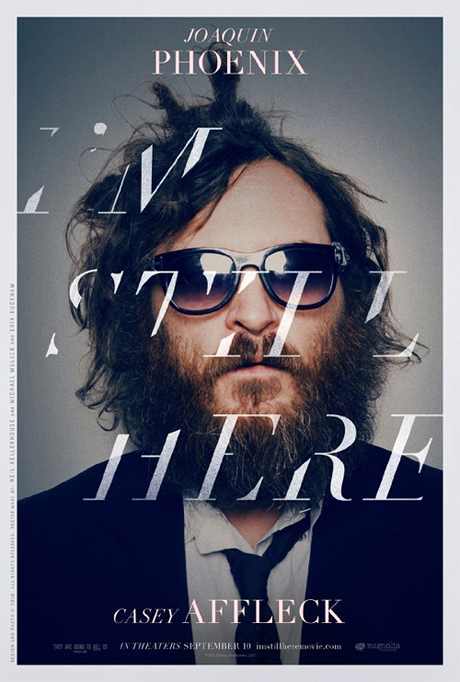 As far as I can remember, this is the first time I’ve mentioned Casey Affleck’s directorial debut I’m Still Here. It’s billed as a documentary about ‘the lost year of Joaquin Phoenix’, in which the actor abandoned his movie career in search of success as a rapper. Since then, countless incidents that are bound to end up in the final cut have been reported, from disastrous interviews on Letterman (later spoofed by Ben Stiller on last year’s Oscars) to fighting audience members at his ‘concerts’ and, of course, wandering around Los Angeles in a cape. … but let’s not bother with the ‘is it real or fake’ debate this time around, OK? In an interesting twist, Casey Affleck (perhaps in an attempt to prove that he’s willing to put his own career on the line for the film as well as Phoenix’s) has received accusations of sexual harassment from two of the film’s crew, producer Amanda White and cinematographer Magdalena Gorka. Again, I’m calling hoax. I’m Still Here is released in the States on September 10th. UK release date TBA.